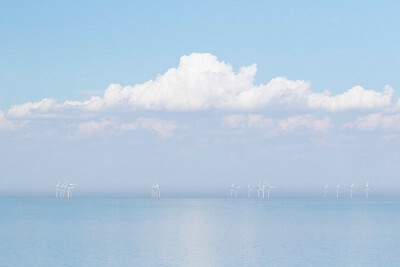 A collection of images from the seaside towns of Herne bay and Reculver. 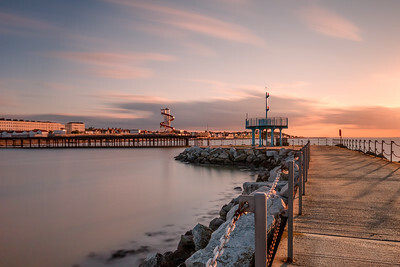 Herne bay is a situated on the north Kent coast with two miles of splendid coastline, and award-winning beaches. It is lined with brightly coloured beach huts reflecting the great character of this tranquil seaside town. 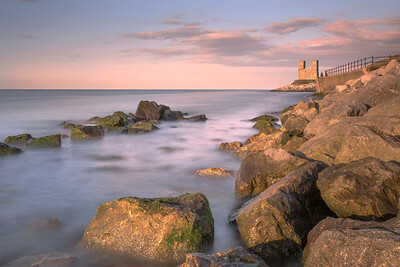 Reculver is a village and coastal resort about 3 miles east of Herne Bay. 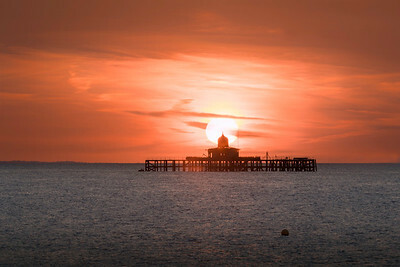 It is famous for its imposing twin towers of the medieval church which dominate the skyline of Herne Bay. This was the site of one of the earliest Roman forts built against Saxon raids on the 'Saxon Shore'. 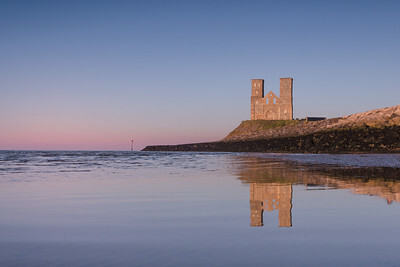 It later became the site of an Anglo-Saxon monastery before becoming the parish church for Reculver. The tall towers were built in a remodelling of the church in the 12th century. 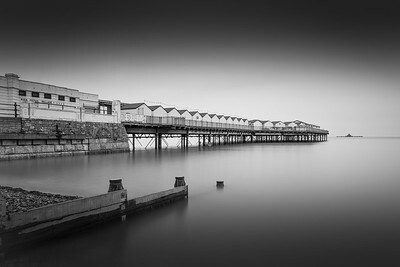 I photographed this view of Herne bay pier in black and white with a long exposure to give a simplistic composition and added drama. Reculvers iconic towers reflected in a tidal pool capturing the cool tones of a late summer evening. 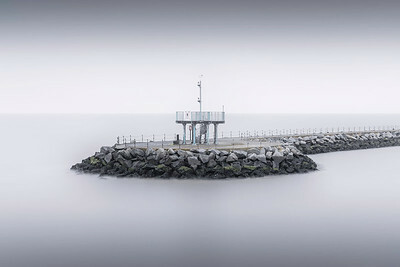 The old Pier head at Herne Bay in Kent. 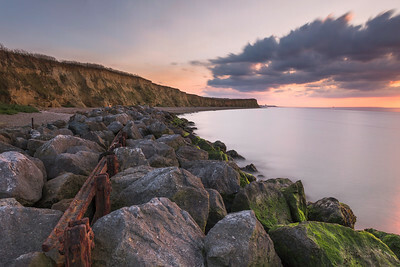 Looking from Bishopstone towards Herne bay at sunset. The Neptunes arm at Herne Bay in kent. 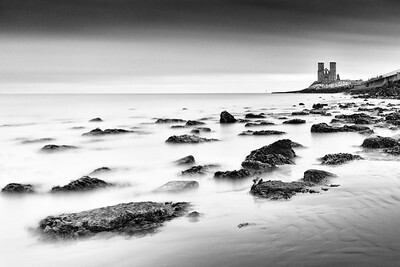 Reculver towers in black and white. 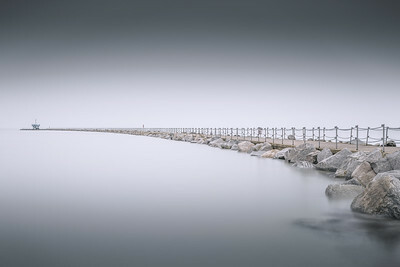 The Neptunes arm breakwater at the entance to Herne Bat harbour on the Kent coast. 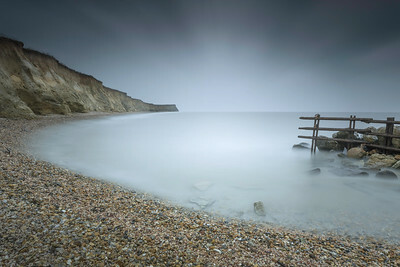 Photographed with a very long 6 minute exposure. 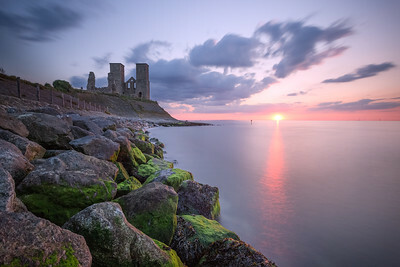 Classic view of Reculver towers on the Kent coast at Sunset. 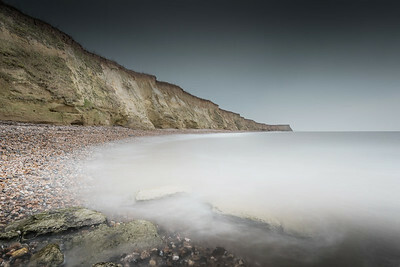 Long exposure on the beach at Reculver looking towards Bishopstone glen. 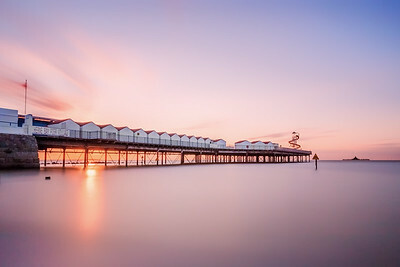 Herne Bay pier in Kent captured with an extremely long exposure at sunset simplifying the composition of this stunning vista. 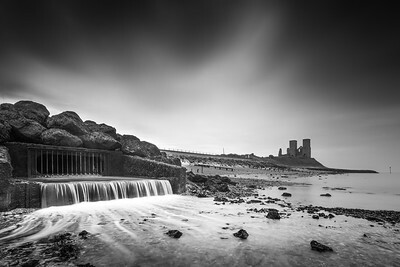 Long exposure of Reculver finished in black and white. 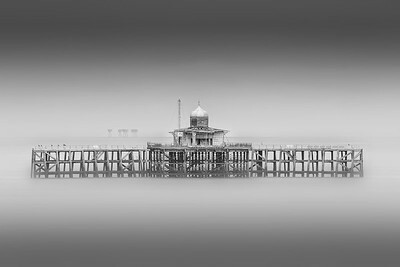 The remains of Hampton pier near Herne bay in Kent. 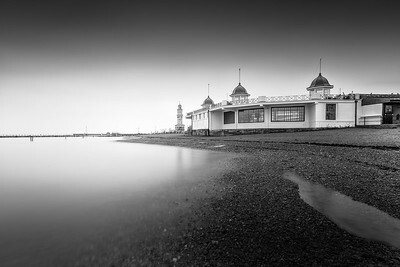 Herne bay bandstand long exposure with the clock tower in the background. 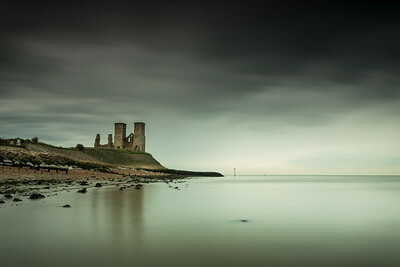 A dramatic view of Reculver towers in stormy weather. 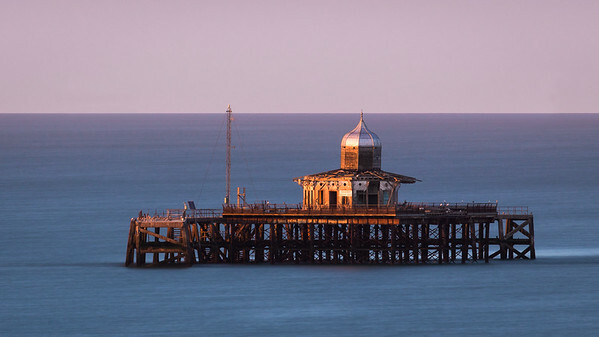 The old derelict pier head at Herne Bay in Kent. 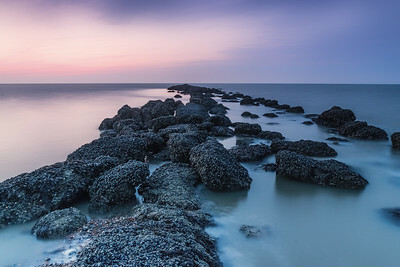 Captured with an extremely long exposure at sunset simplifying the composition of this stunning vista. Reculver & The Celestial Equator. 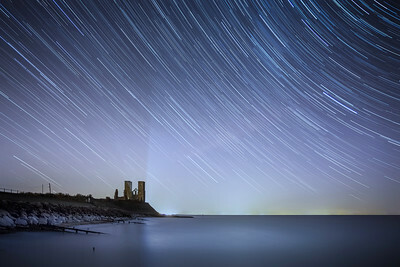 Star trails at Reculver. The camera was carefully positioned to capture the stars apparent movement on the celestial equator. 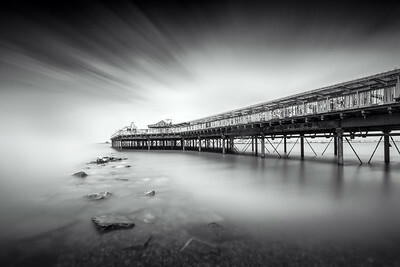 A fine art long exposure of Herne bay pier and finished in monochrome. The breakwater at Herne Bay known as the Neptunes arm.